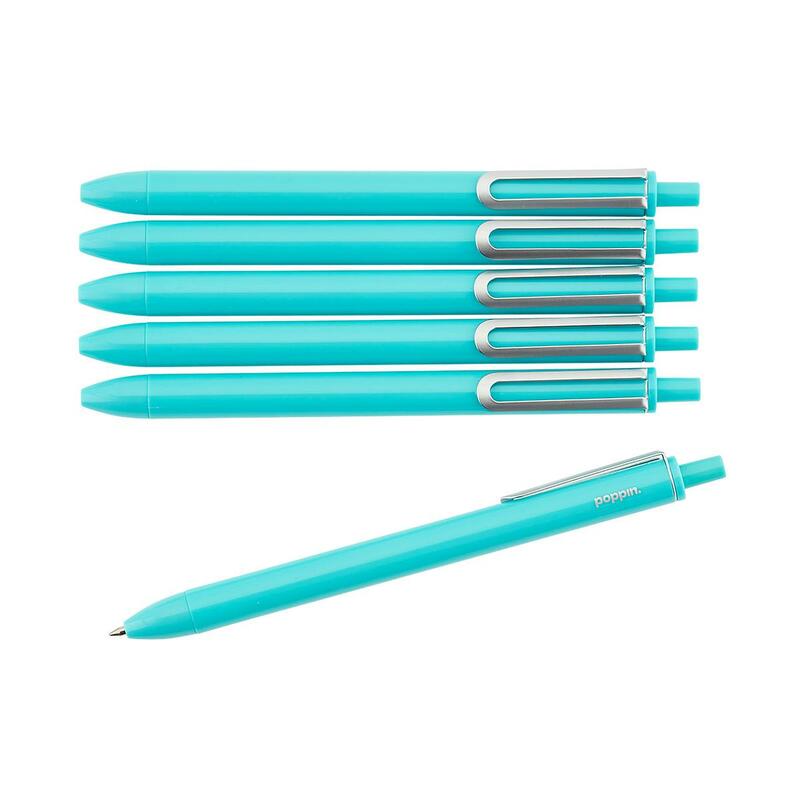 Six pens were packed into this set because once you use these Poppin Aqua Retractable Luxe Gel Pens, you won’t want to write with anything else. 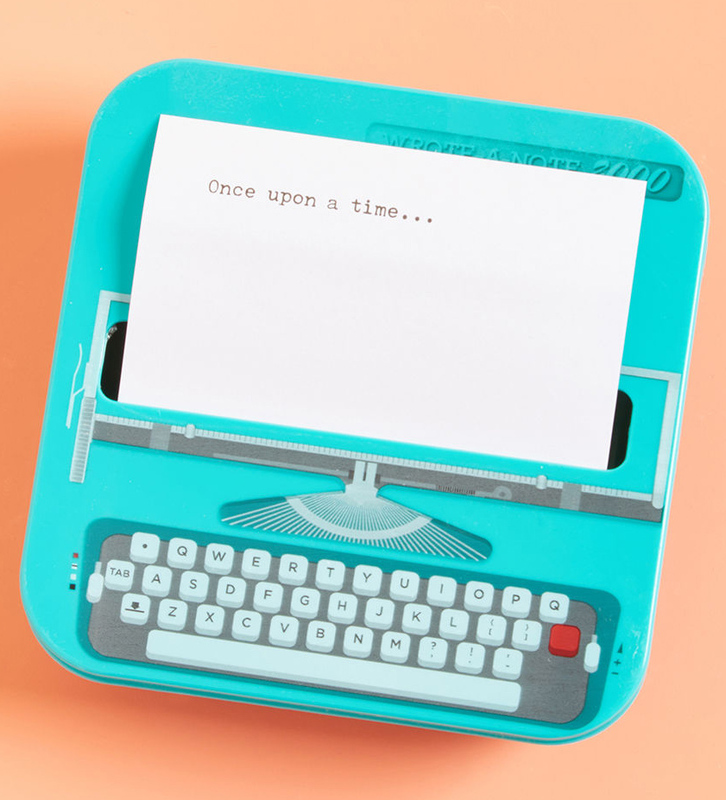 Luxe gel ink makes for smooth, even writing. 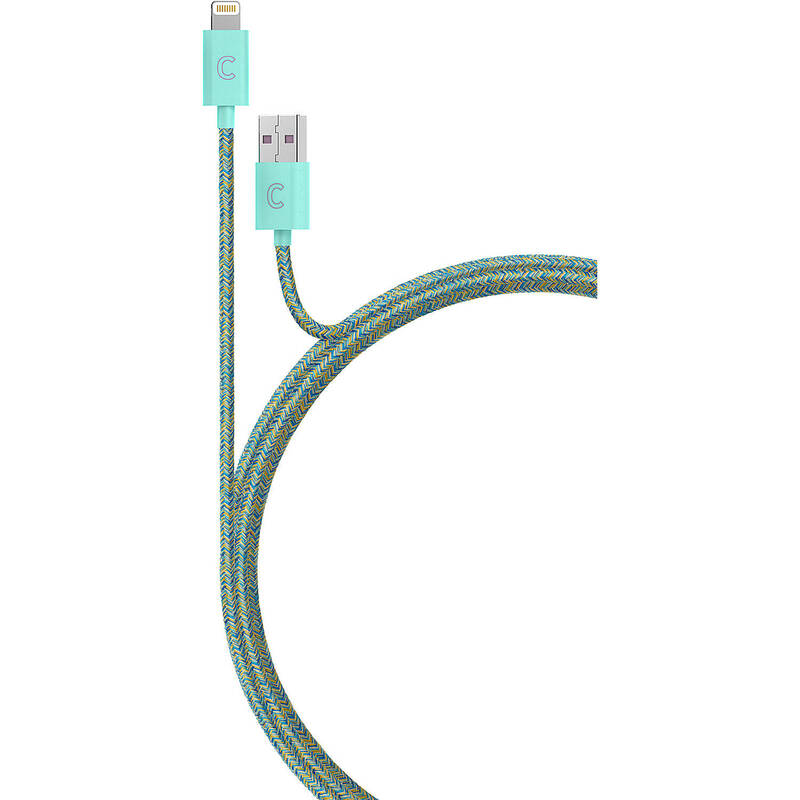 Their retractable design means there’s no need for a cap and nothing to lose. A silver-tone metal clip attaches to a backpack, briefcase or tote so your pen is always right where you need it. $9.99. Buy here. 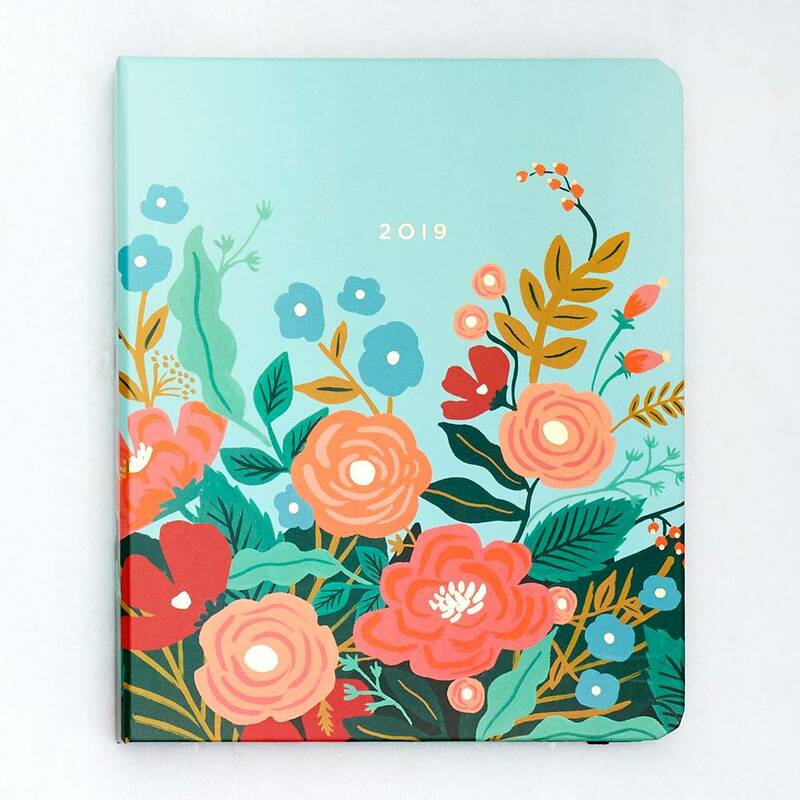 Organize your life in style with this elegant 2018-2019 Mint Floral Planner from Rifle Paper Co. The hardcover design features a beautiful mint background with a floral motif and gold foil accents. Planner features a hidden spiral with monthly and weekly calendar pages, sticker sheets to embellish, sections for notes and contacts, a pocket folder, ruler, and inspirational quotes. August 2018 – December 2019. $36.95. Buy here. 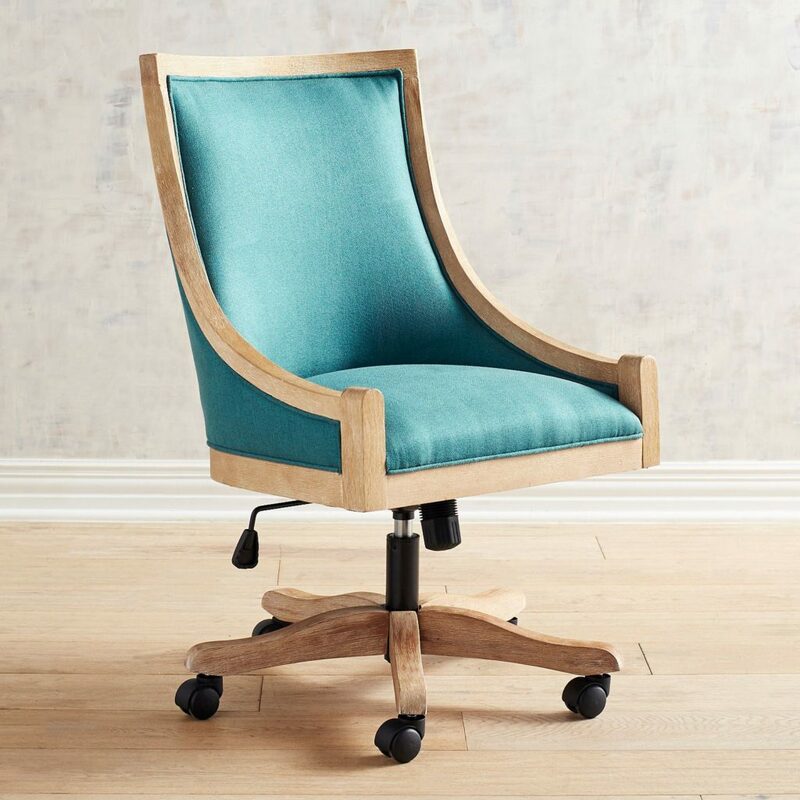 With a versatile style that moves from shabby chic to traditional, this Turquoise Devon Desk Chair offers roomy, hand-upholstered seating, a hand-bent birch frame with a natural finish and a coil-spring seat cushion. $399.95. Buy here. 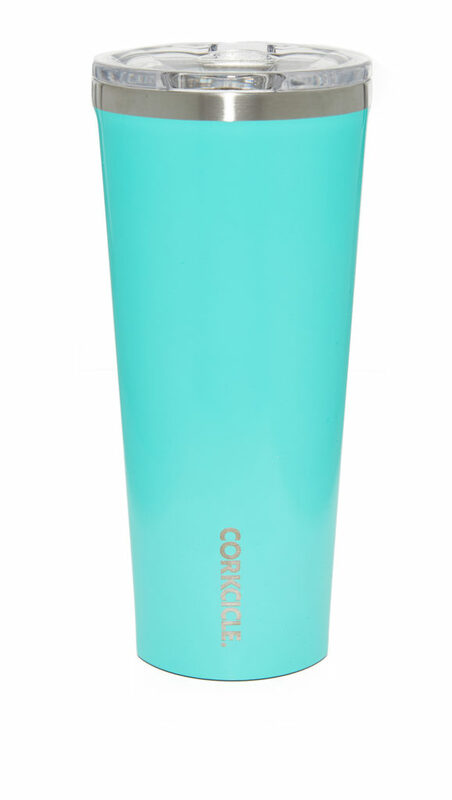 Made from triple-insulated stainless steel, this gloss-finished Turquoise Corkcicle Gloss Tumbler holds up to 24 ounces of any hot or cold refreshment. 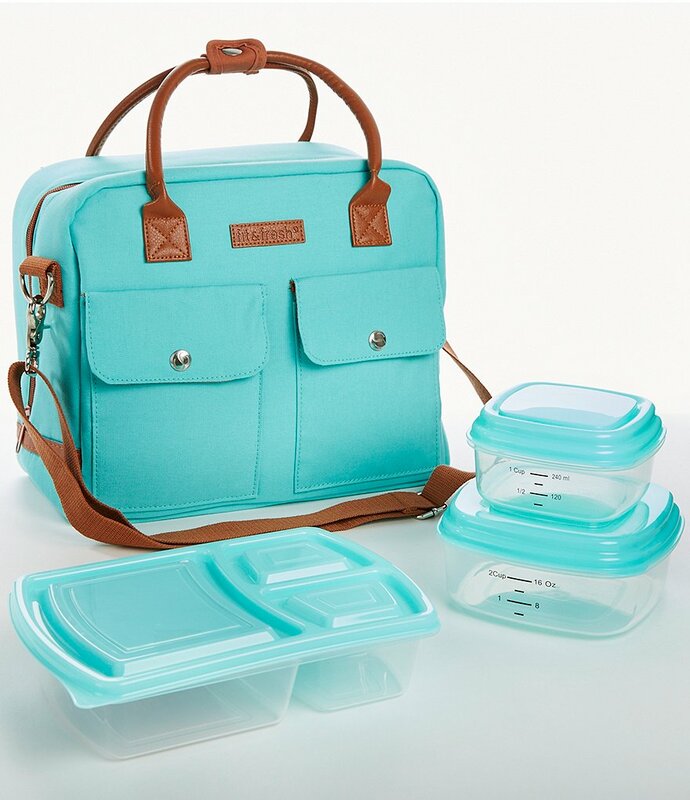 Vacuum-sealed, shatterproof lid with a retractable spout. Nonslip rubber base. $30. Free shipping. Buy here. 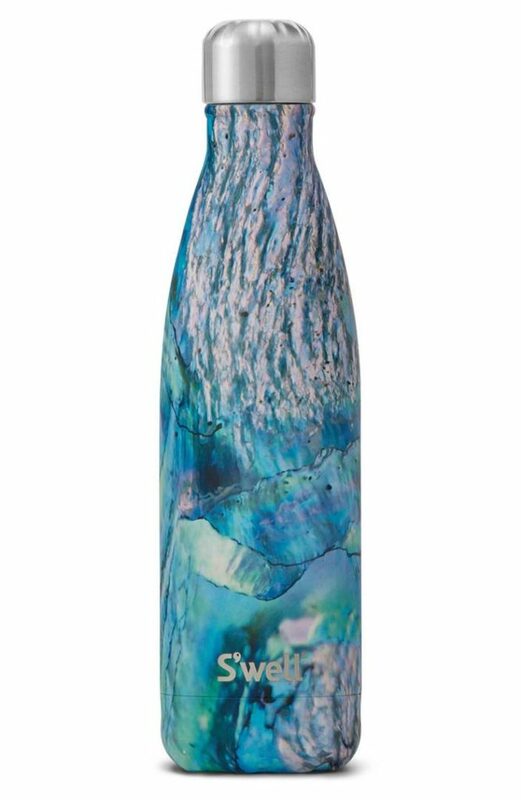 Stay hydrated in high style with this sleek, double-walled S’well Paua Insulated Stainless Steel Water Bottle that keeps cold drinks cold for up to 24 hours and hot drinks hot for up to 12. Each bottle features a wide mouth that makes it easy to fill, add ice cubes and clean. $35. Free shipping. Buy here. 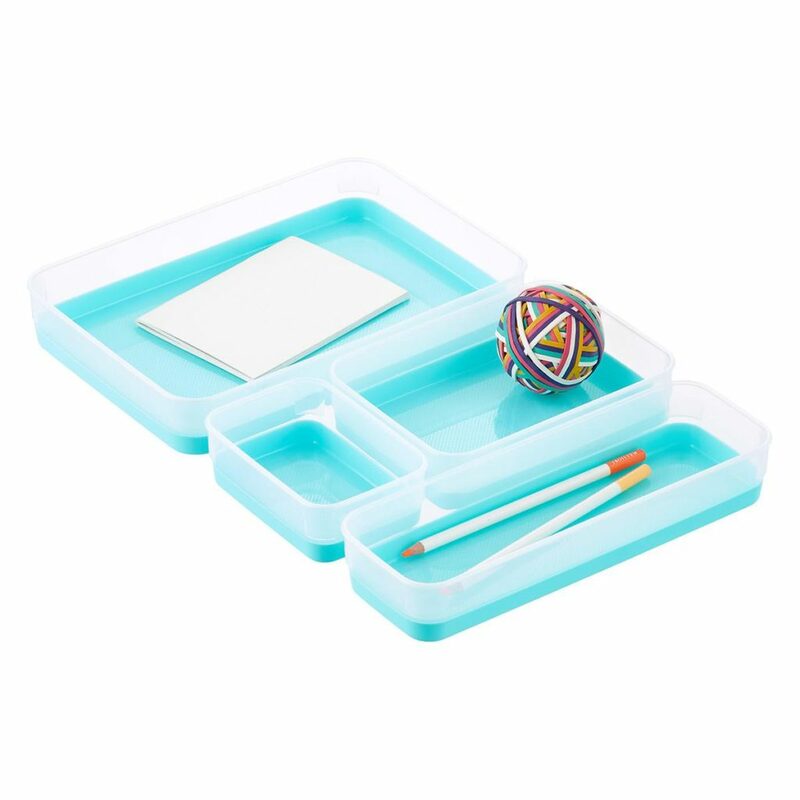 Add a pop of color and a lot of organization with these Clear & Aqua Drawer Organizer Trays. 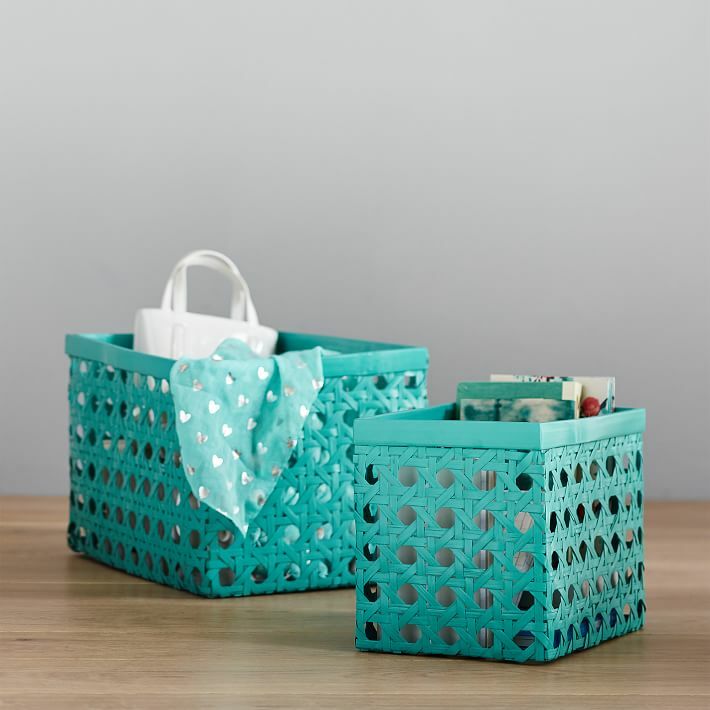 They coordinate perfectly with each other to create your own custom organization whether in a desk drawer or desktop. $1.99-$3.99. Buy here. Stylishly arrange your desk essentials with these Metal Vine Desk Accessories. This set, featuring a intricate vine design,will keep your desk looking organized. $59.50. Free shipping. Buy here. 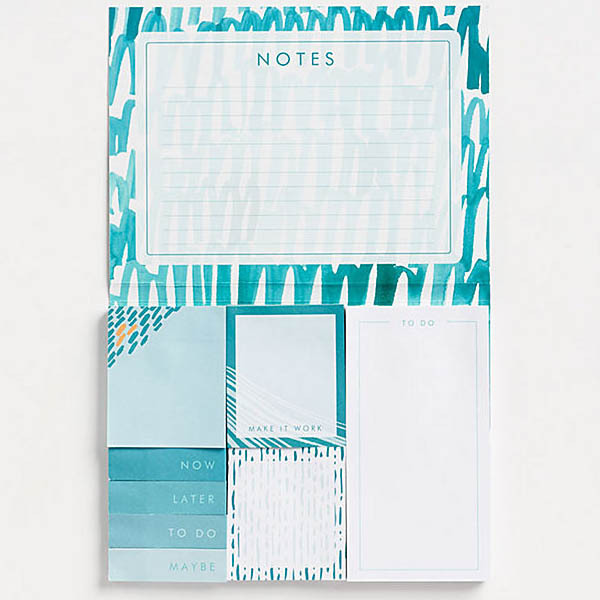 Keep notes on this vibrant Geode Sticky Note Set. The cover of this pad features a geode design in teal, blue and gold, and the sentiment “dream big stay true”. On the inside there is an area for notes and 8 different sticky note pads that each come with 70 sheets. $14.95. Buy here. 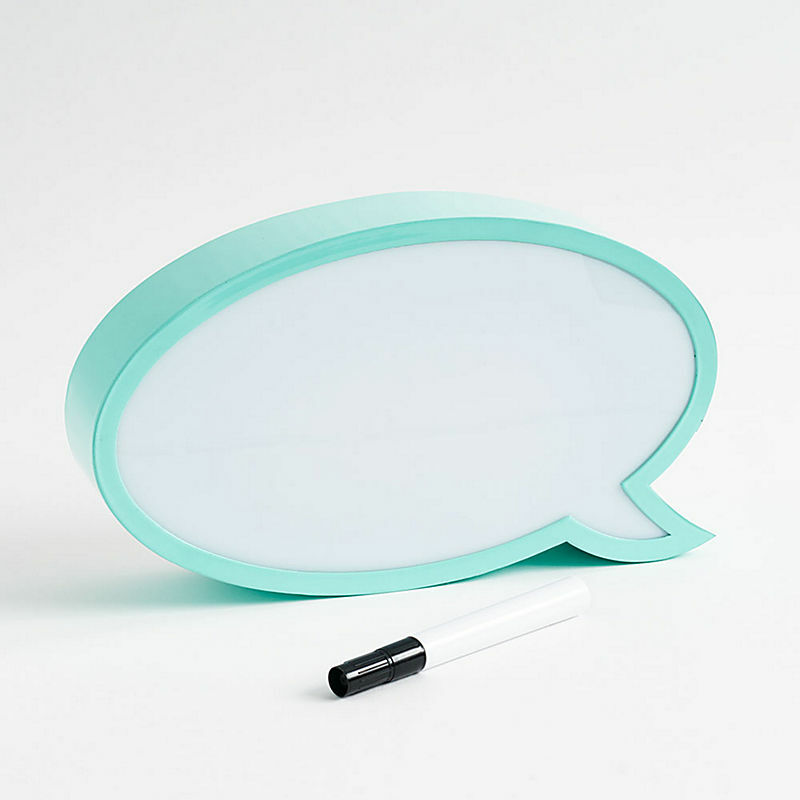 Bring your words to light with this Light Up Speech Bubble! This LED sign comes with an erasable pen to write/say anything you want. 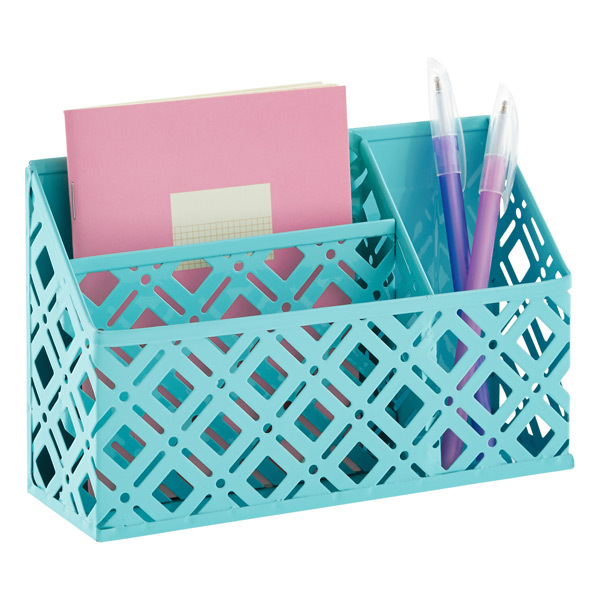 A fun and stylish accessory for your room, dorm, or apartment. $32.95. Buy here. You’ll become attached to this Slim Dry Erase Magnet Board. 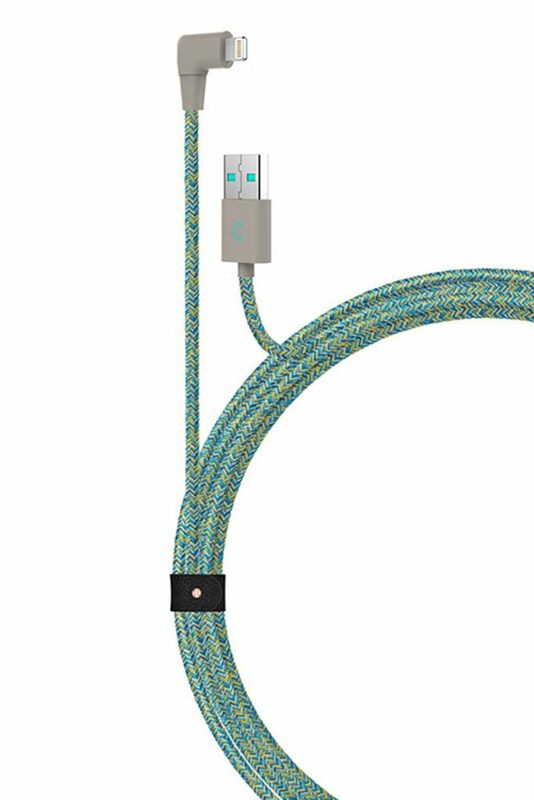 Its modern design is a stylish, practical accent for any office, home or dorm room since you can mount it practically anywhere thanks to the magnetic backing. It even fits perfectly in a standard locker. 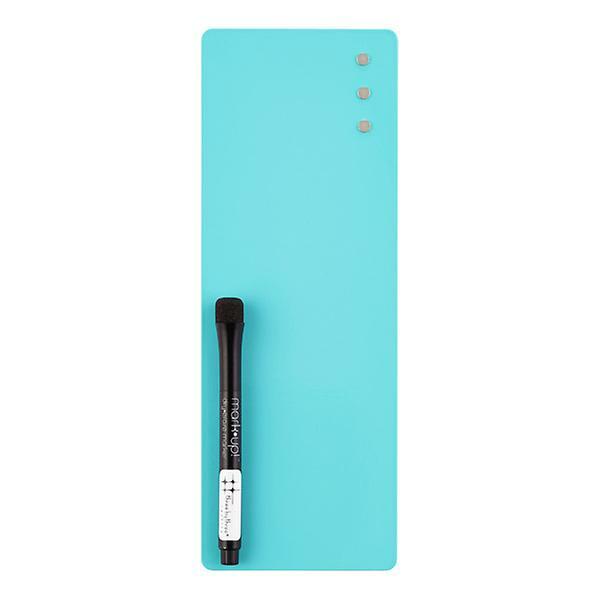 Use it to write notes as well as post invitations, schedules, to-do lists or photos. $9.99. Buy here. 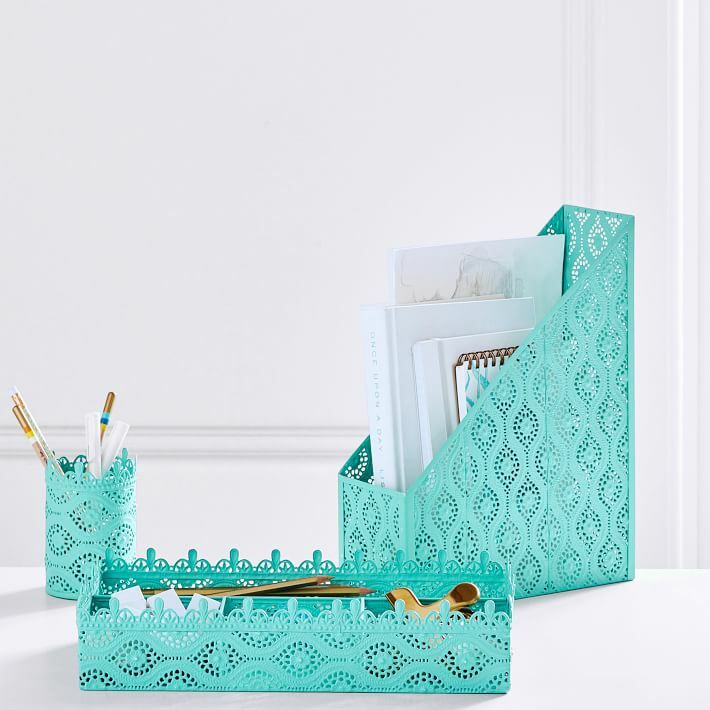 Store anything from paper clips to rubber bands and pencils in this aqua Charleston Organizer Bin. They are perfect for use in a locker, on a refrigerator, filing cabinet or our magnetic message boards and their beautiful design makes a statement for all to see! $9.99. Buy here. 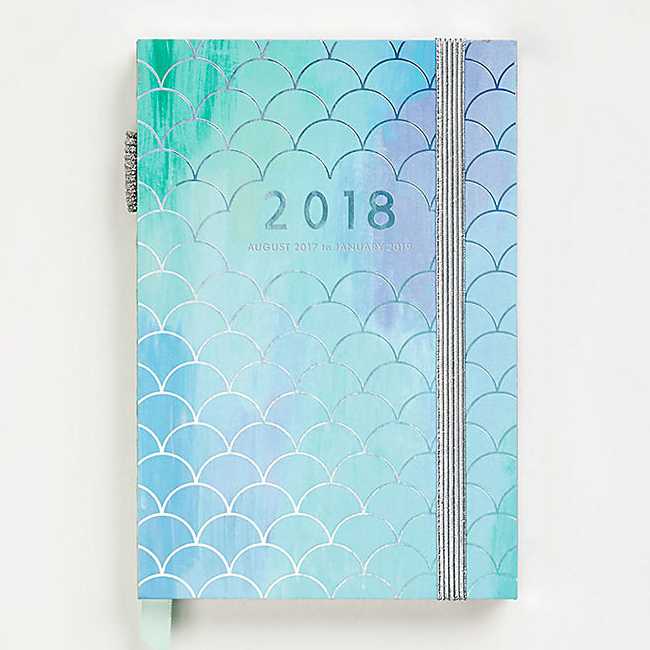 Sleek stitch-binding allows this hardcover 2017-2018 Silver Foil Mermaid Planner to lay completely flat. Featuring holographic foil scales on the cover of this beautiful hand-painted watercolor pattern, this planner features monthly and weekly views. Page edges are finished with silver foil for a chic look. August 2017 through January 2019. $26.95. Buy here.